I've said this every year for the past five, but I'm going to say it once more: it's been the wildest theatrical year ever. ~50 times as an audience member. Six different countries. Premieres, travels, a summer theatre marathon. So many interesting shows, meeting new people and having fun with old friends, finding new favourite shows and productions and actors... It's been an amazing year, so much fun I can hardly believe it. I'm so, so grateful to have been able to experience this all. Including three of my favourite musicals closing on the same night. Next year is going to be very theatrical too, but in a different way. I'm going to intern in Turun kaupunginteatteri. That Finnish production of Jekyll & Hyde I've referred to in every second post I've written this year (and also in that drawing there)? That was theirs. I won't be working with the arts though, but in the office – website, social media, public relations... I'm very very excited about this and can't wait to begin! An internship might however mean I won't have so much time to blog. But no panic. 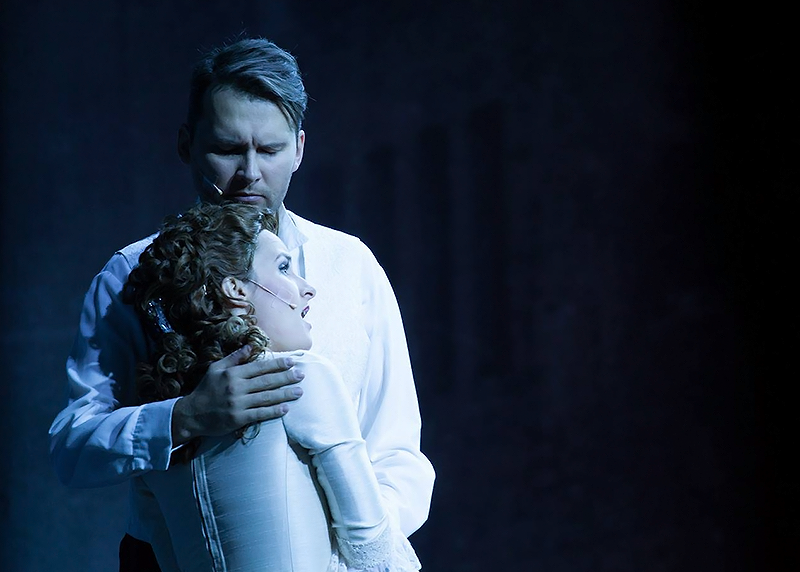 No matter how busy I may be, this blog will still be updated: I've scheduled a four-part series of articles about the past and present of Finnish musical theatre to be published during January and February. I originally wrote the articles for school, and in Finnish. I don't know if they interest many people outside Finland. 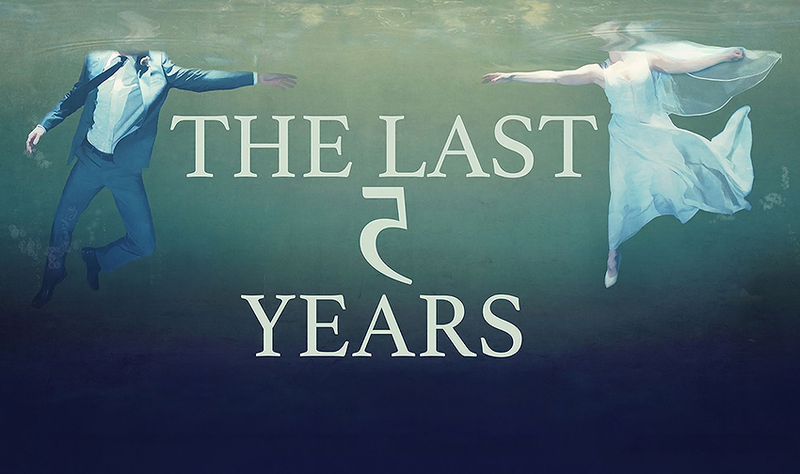 But in case there is even one person interested in Finnish theatre who doesn't speak the language but would still like to know more... Just like I write this blog in English for that person, I've also translated the articles for them. I hope you enjoy. So, onwards to the new year we go. 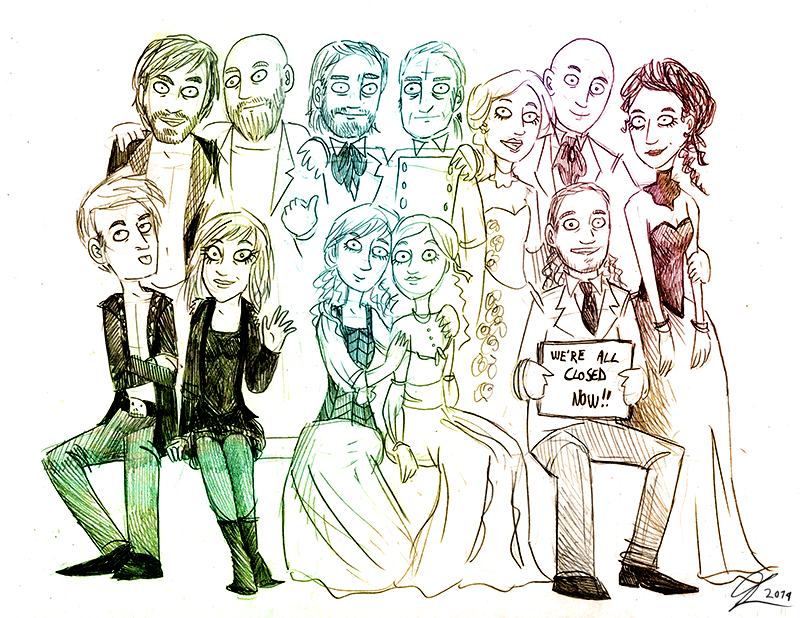 Very happy and theatre-filled 2015 to all of you! Funny how small things can sometimes lead to bigger journeys. And when it comes to this hobby, or passion, or way of life, or whatever watching theatre is for me – in the world of theatrical adventures, that's even more true than usually. If Åbo Svenska Teater (to my great dismay) hadn't recast Enjolras in early 2012, Elina probably wouldn't have seen their Les Misérables at all. If she hadn't, I wouldn't have met her, let alone making friends with her. 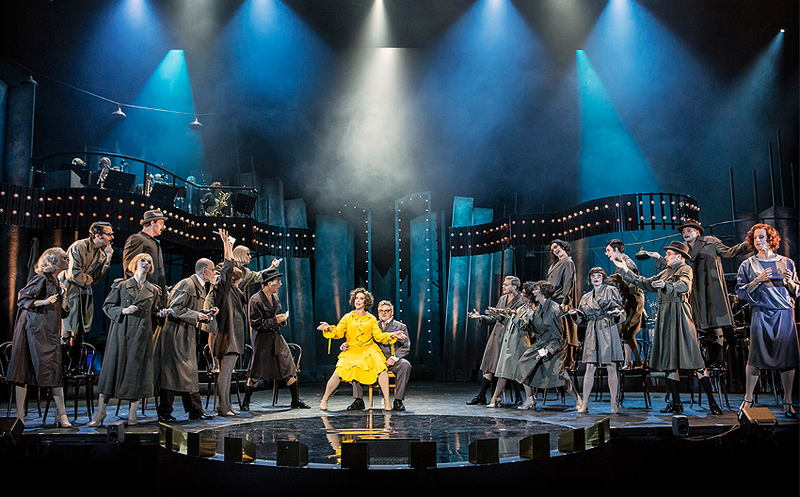 And if I we hadn't made friends, who would have travelled to Stockholm with me last weekend to see our favourite actor Chris Killik play Mary Sunshine in Stockholms stadsteater's production of Chicago? No one, that's who! Also, no matter how short-lived ÅST's recent production of Jesus Christ Superstar was, I guess we need to thank the theatre for introducing us to a new favourite in the role of Judas. So, a hat tip to Åbo Svenska Teater. And now we're off to Stockholm, and to Chicago! There, on the right side of the picture! In short, Stockholm's Chicago is the production I've been wanting to see ever since first seeing the show on Broadway. In Stockholms stadsteater's version of this story about rivalrous murderesses, everything's included. From tap dancing to Mary Sunshine being played by a man... All those details I like but the two most recent Finnish productions have chosen to ignore. Yet it's not a replica but has its own spin. (I especially liked how the whole orchestra, gentlemen included, is dressed as 20s flapper girls.) Overall, very good! 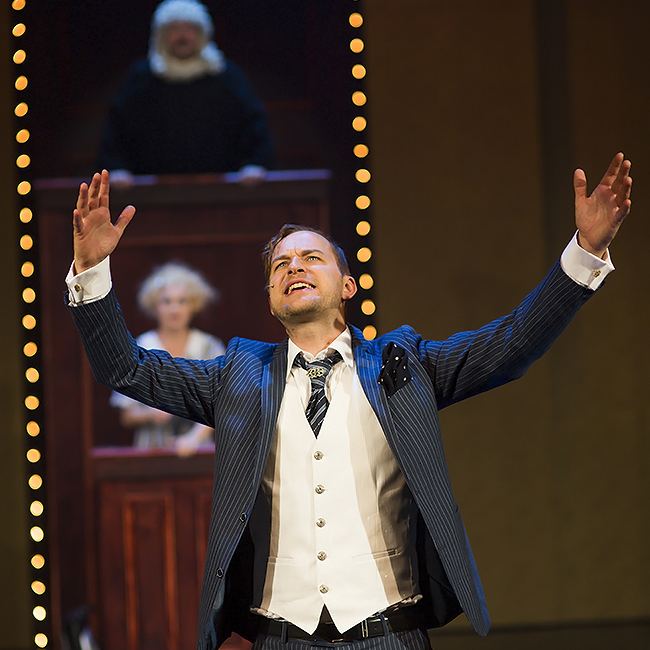 Negatives first, though: Dan Ekborg as the leading man Billy Flynn is the weakest link of the cast. Ekborg doesn't carry himself like the most successful lawyer in town. The super charismatic outer layer Billy Flynn should have is missing, the whole character feels too slimy. Actually, I was somehow reminded of Miss Saigon's Engineer – a role Ekborg has also played, so who knows, maybe that suited him better. But then the positives: I really liked all the leading ladies. 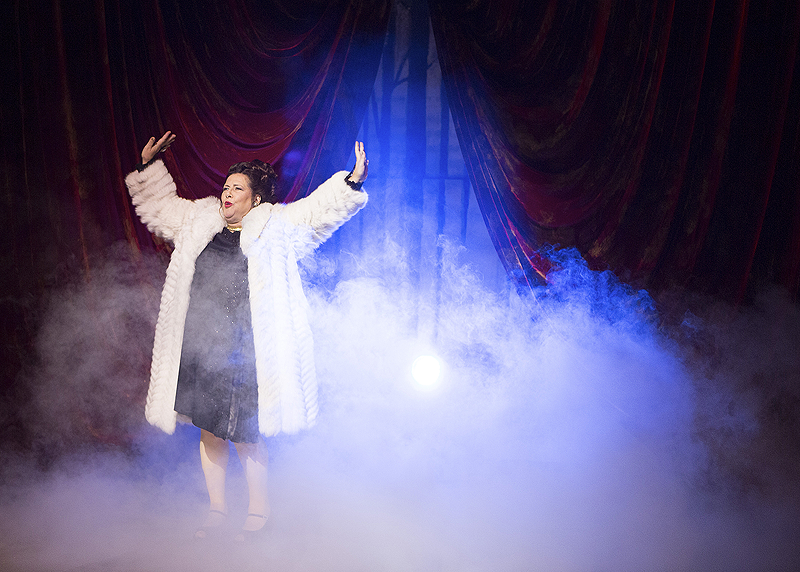 Lisa Nilsson as Roxie, Sharon Dyall as Velma, and especially Kajsa Reingardt as Mama Morton – what a brilliant trio. 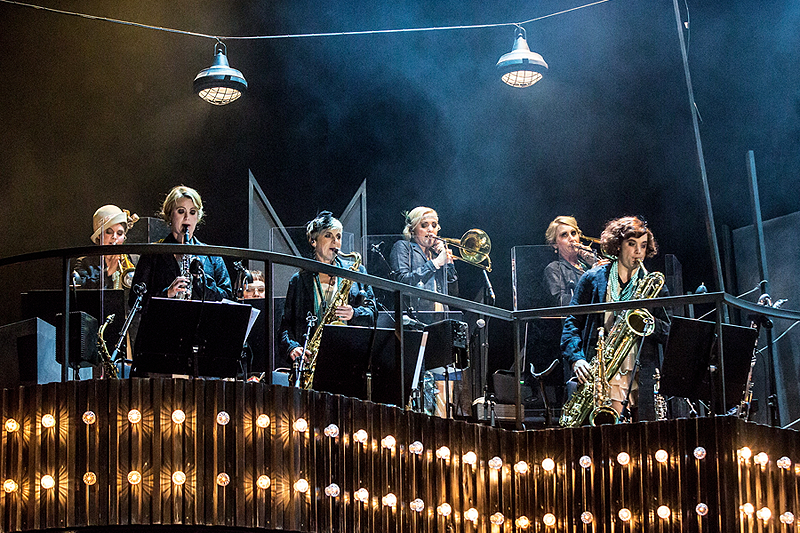 Nilsson's Roxie is rather cold and calculating, a fascinating opposite to the current Finnish production's ditzy bimbo. Dyall and Reignardt are both so charismatic in their roles, they suit the parts perfectly. 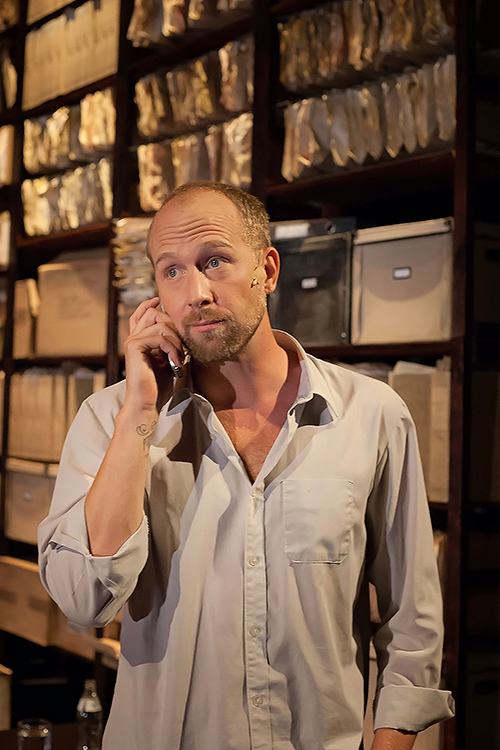 Other highlights: Fredrik Lycke (he's Alexander Lycke's brother, and Alex in turn is my favourite Valjean and Jesus – I'm glad to have seen both brothers live now) makes a really sympathetic Amos. And, well, I don't know if I even need to mention Chris Killik as Mary Sunshine... I'm sure everyone has already guessed that both me and Elina thought he was fantastic. Talk about a killer falsetto! Naturally, I tried to compare this with the current Finnish production. Both productions look and sound good in their different ways, I really can't say which one I like better. The Finnish take is a bit more original, and Finland gets a bonus point or two for having an actually charismatic actor play Billy Flynn. On the other hand, Stockholm gets a point for including Hot Honey Rag, my favourite bit of the show, as a full-blown dance number. Not to mention Mary Sunshine – we of course wouldn't have seen the show at all had they cast someone else in the role. So five bonus points! All in all, my second time visiting Stockholms stadsteater this year was a success. 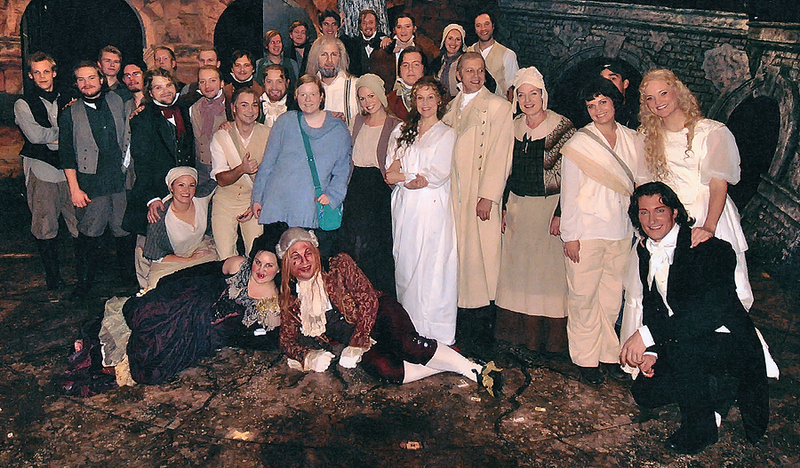 It wasn't as huge an experience as their Sweeney Todd... But seeing how that was huge for me mostly for the wrong reasons, I'm sort of glad it wasn't. A good way to finish this very fun and very busy theatrical year! Related reading: Elina and I have even seen Shakespeare for Chris. 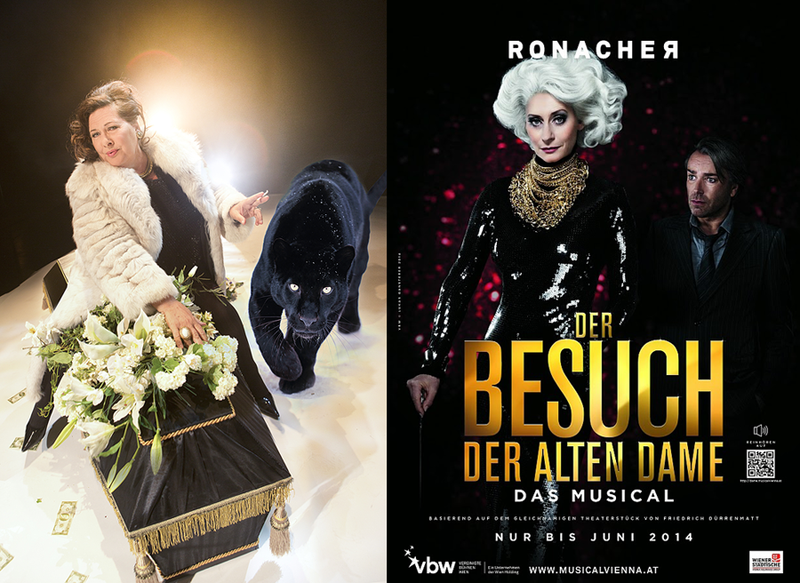 I'm going to see Dracula the musical in Germany next weekend. I'm not a Dracula fan. As I mentioned a while ago, I didn't even finish the book. 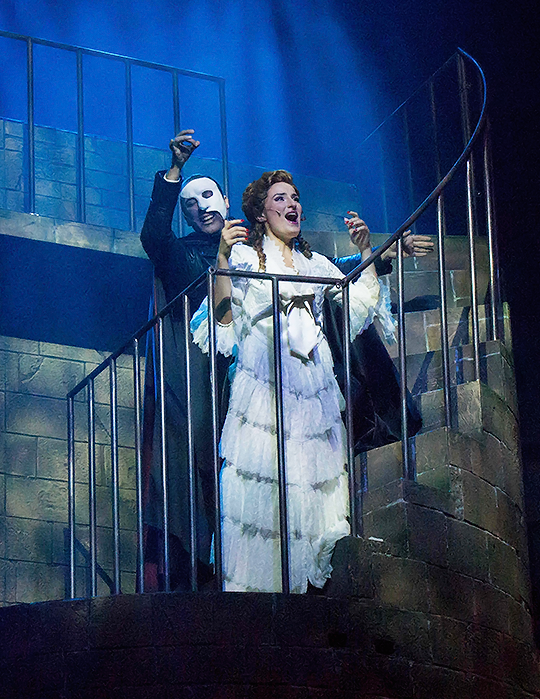 I don't really adore the musical, either – it's nice, but not on my favourites list. Instead, it's the man playing the Count who made me want to book the flights... but more about that later. In any case, I've been trying to get into the right mindset before the vampire trip. My bedtime stories have consisted fully of Dracula during the past few weeks. Now, I'm going to share the two gems I've read with you! 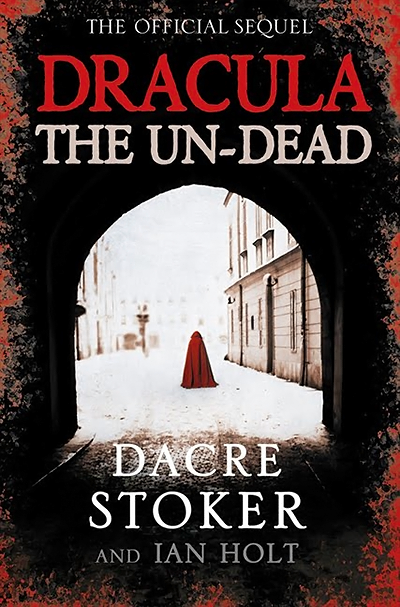 The first book I read was Dracula's "official sequel", Dracula the Un-Dead by the original author's great-grandnephew Dacre Stoker and screenwriter Ian Holt. This book is incredible. It's the very worst book I've ever read in my life. Some books are bad because they're boring. But not Dracula the Un-Dead! It has a fast tempo and many, many exciting events – it hits a new, unbelievable low every five pages. My friends who saw me reading it can attest that during some of the twists and turns, facepalming with both hands wasn't enough. Every now and then, I had to rest my head on the table for a moment to calm down. Dracula the Un-Dead is a wild ride that takes every chance to insult the reader's intelligence. We find out that Mina has stayed young all these years because, having drunk Dracula's blood that one time, she now has immortality coursing through her veins. She's also still in love with her "Dark Prince". And indeed, she has every reason to adore Dracula. Did you know that the Count was good all along? He only drinks blood from criminals and proclaims himself as a warrior of God. How about his fear of holy symbols? Nah, Bram Stoker just got that wrong in his book. Yes, good ol' Bram appears as a character in Dracula the Un-Dead. It is revealed he didn't come up with the plot of his famous novel himself at all. Instead, he got it from some drunk he met at a bar. The drunk later turns out to be Professor van Helsing. Who then turns into a vampire, and enjoys the feeling of being undead. 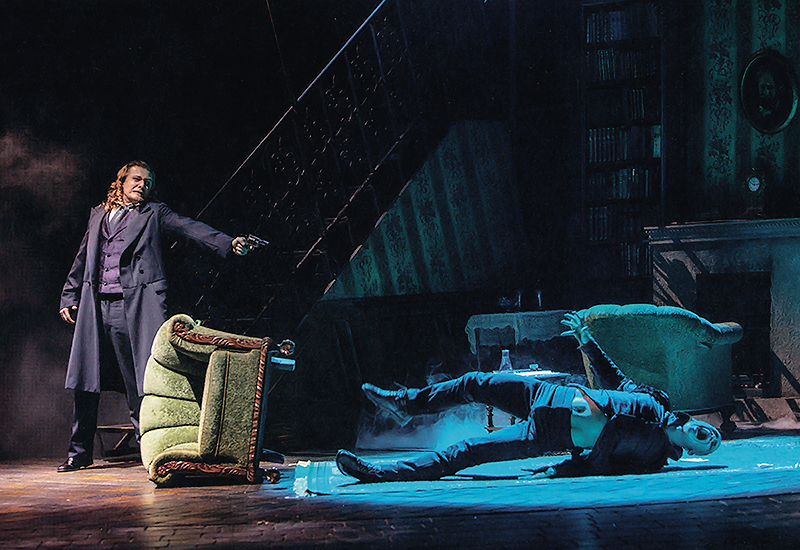 In the grand finale of the story, we have Dracula telling "I am your father" to Mina's son. After this totally unpredictable revelation, the remaining handful of the novel's cast fall of a cliff. Heck, the bodycount simply wasn't high enough already! People were trampled, staked, decapitated, burned or bitten only once per every ten pages. The only character to survive is Dracula Junior. As an epilogue, the son of Dracula wants to start a new life in the United States – and boards the RMS Titanic to travel across the Atlantic. The authors' notes at the end make it clear this is not a parody. Official sequel indeed. If the co-author was anyone else but Bram Stoker's great-grandnephew, I'm certain this book would have never hit the shelves. I'm kind of glad it did, though, because you rarely get to read a real printed book as crazy as this one. To rinse the official sequel out of my brain, I returned to an old favourite. When I was younger, I loved Angela Sommer-Bodenburg's Anton und der kleine Vampir: Die Reise zu Graf Dracula, or The Little Vampire Meets Count Dracula. The Little Vampire series is about Anton, whose best friend Rüdiger is a vampire. This installment focuses on Anton and his family's trip to Transylvania. Rüdiger has just moved to the land of his ancestors, and Anton wishes their paths will cross during the vacation. The friends indeed meet each other again, and Anton gets invited to a vampire party – a party the famous Count Dracula will also attend. I wasn't a vampire enthusiast as a kid, but rereading this book, I now understad why I enjoyed it so much. Anton and his family's trip to Romania strongly reminds me of my own family's trips around Europe when I was younger! Endless car rides, sleeping my way through the countryside, seeing sights and staying in hotels and the feeling of being away from home... It's all here. Reading this ten years ago, I didn't pay attention to the way the novel describes Romania. Now, it feels so dated it's almost funny. I suppose things were different in 1993 when the book was released. But the way the writing heavily underlines the sad state of Romanian plumbing, awful cuisine and hideous poverty of the people... I'd say the novel is a product of its time. It's more than a travel journal, though. The central conflict of the story is actually about Anton being a human while is friends are immortal. Our young hero is deeply fascinated by vampires, but he's determined not to become one. His best friend Rüdiger and Rüdiger's little sister Anna were both bitten at a young age. Anton could choose to stay a child forever and spend an eternity with his best friends (and his vampire friends do remind him of this possibility). But no. Anton has decided to grow up, to live his human life. To embrace his mortality. At the end of the book, the vampire siblings leave for a journey with their new mentor, Count Dracula. They don't know when they'll return, or if they'll ever come back to Germany where Anton lives. It might take years before the friends meet again. Who knows if Anton will be old when they next see each other – old, while his childhood friends are still and forever young? The characters actually point this out. At one point, Anna is worried that Anton is changing because he's growing up. I admit I felt genuinely sad while reading this. When comparing the two sequels I've read, The Little Vampire Meets Count Dracula is by far the more adult and profound story, that's what I'm trying to say. Also that Dracula the Un-Dead is crap. Lahden kaupunginteatteri is one of those theatres that are really important to me. 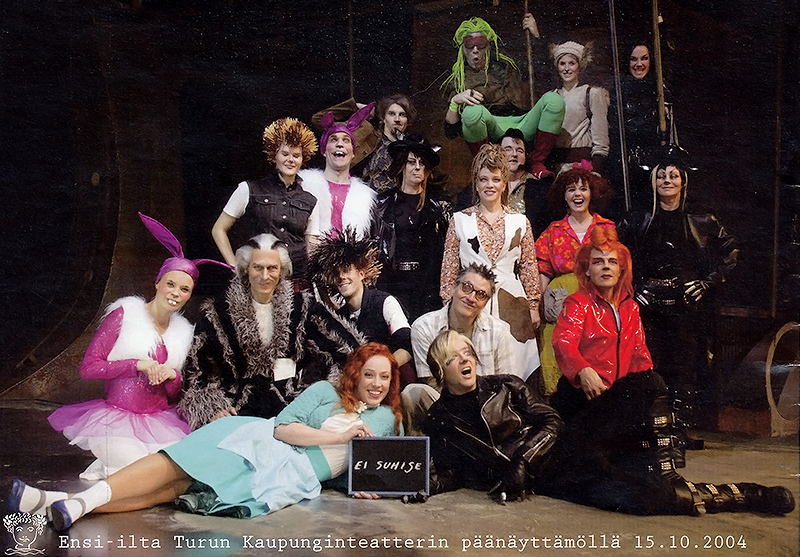 It's where I first fell in love with Finnish musical theatre. The year was 2008, the show was Cats, my age was 16 years old – it was love at first sight. I've Lahden kaupunginteatteri a lot to thank for. Too bad that since 2008, the theatre hasn't really produced any musicals to my liking. I was bored by their Oliver!. I disliked their Cabaret. I borderline detested their Hair. Last spring, I got so little out of their West Side Story that I couldn't even find words to review it with. But now, the tide has finally turned. Lahden kaupunginteatteri's production of Chicago is a brilliant take of the musical. 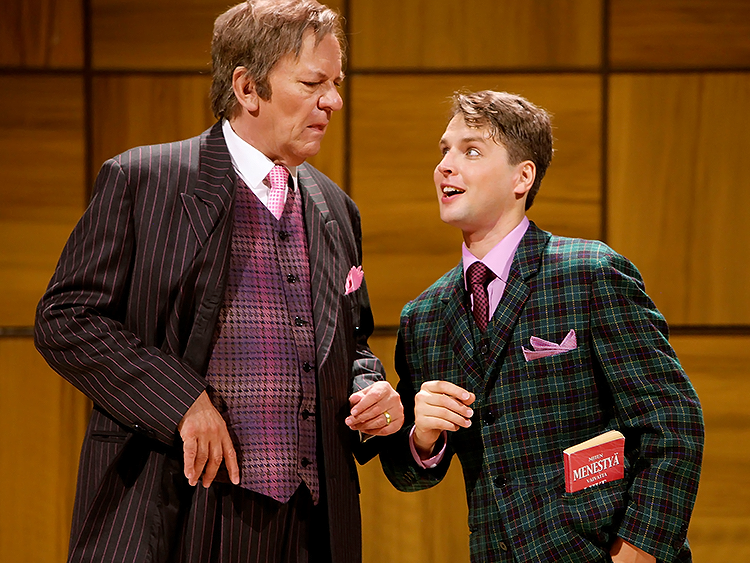 The production has double cast in the two leading roles. I caught Laura Huhtamaa as Roxie and Elsa Saisio as Velma (and am looking forward to seeing Hanna Vahtikari and Maiju Saarinen some day soon). What a fantastic duo! Both are full of charisma and shine brightly in their roles. And when combined with Mikko Pörhölä's perfectly arrogant, charismatic Billy Flynn... They make a delicious combo. Also, thumbs up for Tapani Kalliomäki as the MC. The Broadway version of Chicago doesn't have an MC, but I have to admit I have grown very fond of narrator/master of ceremonies type of characters over the years. So, it's actually nice seeing one installed here. It took me a while to warm up to the character, but by the end, I enjoyed Kalliomäki's gleeful performance. For once, the theatre's huge stage isn't too big. The cast is actually rather small, but the stage doesn't feel empty at any point. The orchestra (sounding great!) 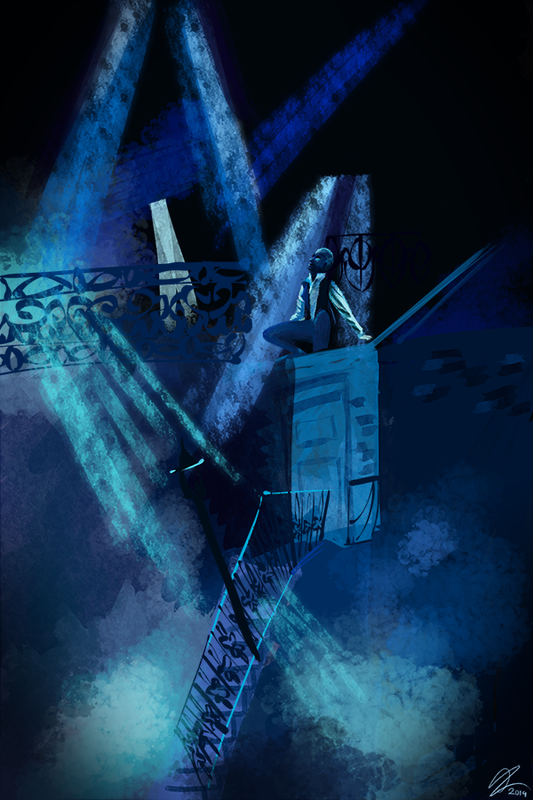 has a place onstage like in the Broadway version. Unlike that version, though, in this one there are plenty of sets and the scenery is in motion nearly all the time. 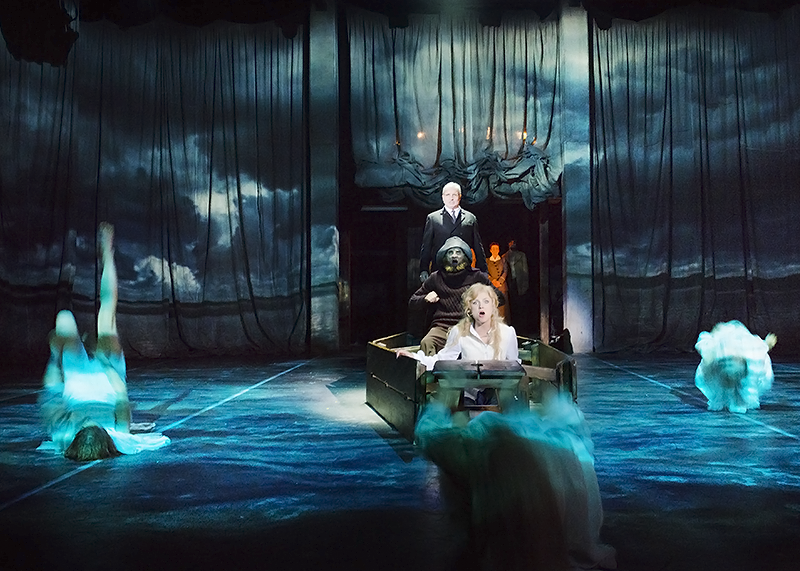 I like the look of the show as a whole – sets by Minna Välimäki, lights by Jouni Nykopp, costumes by Jaana Kurttila. Nothing too unique, maybe, but still a nice shiny, glittery look. Overall, Miika Muranen's direction has a great flow. As said, I didn't get much out of his West Side Story. But here, the show has good energy and the action moves from one scene to the next really smoothly. 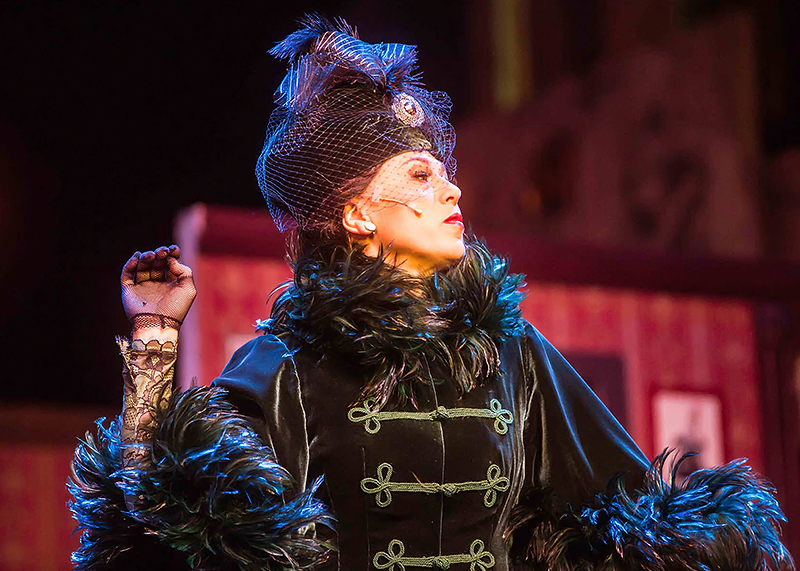 Chicago, with its story of rivalrous murderesses fighting for their fifteen minutes of fame, is not be the deepest or the most thought-provoking musical out there. But when done well... Oh boy, is it entertaining. This production is so much fun. My biggest snag with the production is that Mary Sunshine is portrayed by a lady, Ilona Pukkila. 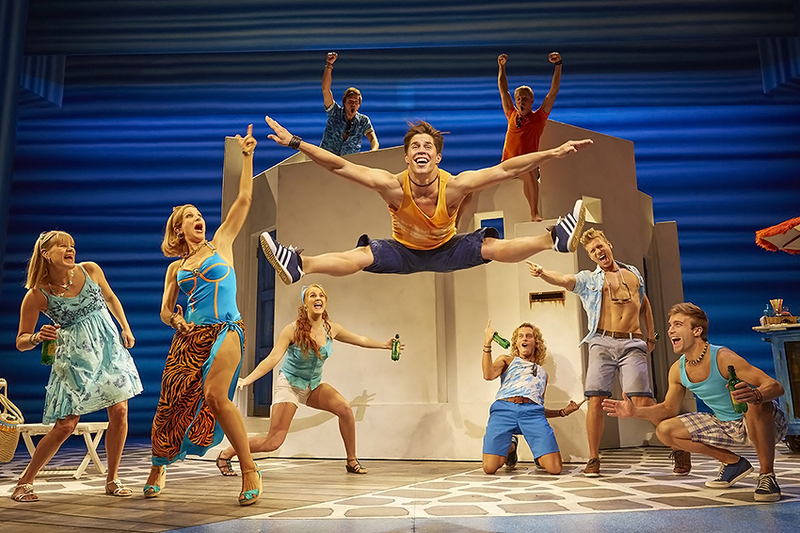 Not that Pukkila is bad in the role – but has the part ever been portrayed by a man in Finland? Is there simply no one around with a suitable voice..? Having a woman in the role destroys the character's punchline, and her song isn't too impressive if it isn't sung by a dude with a killer falsetto. 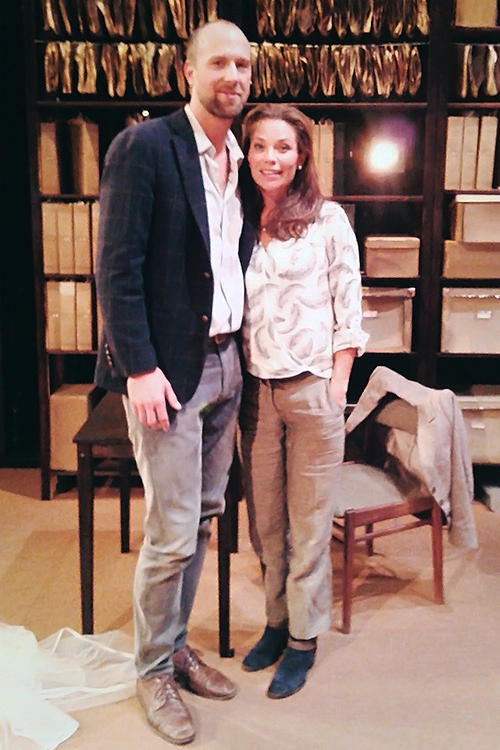 Eagerly looking forward to seeing the current Stockholm production where Chris Killik wears the high heels! 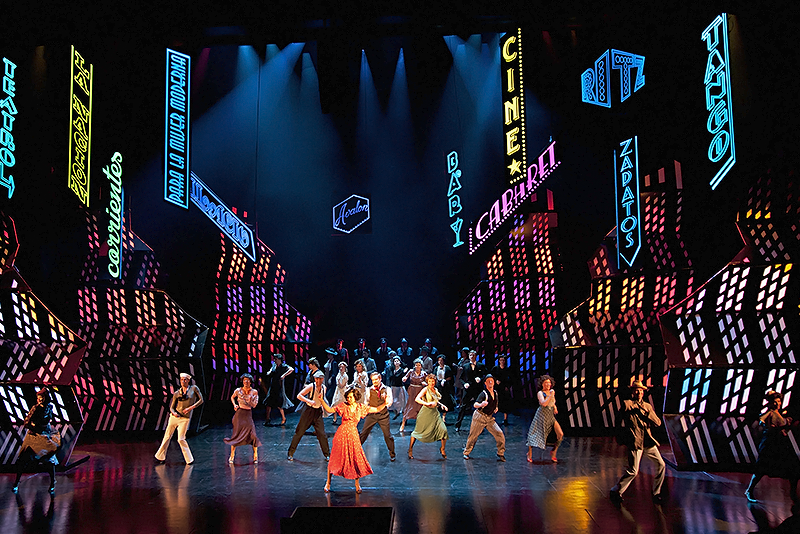 Also, hopefully I'll one day see a non-replica version of Chicago with The Hot Honey Rag as an actual dance number. 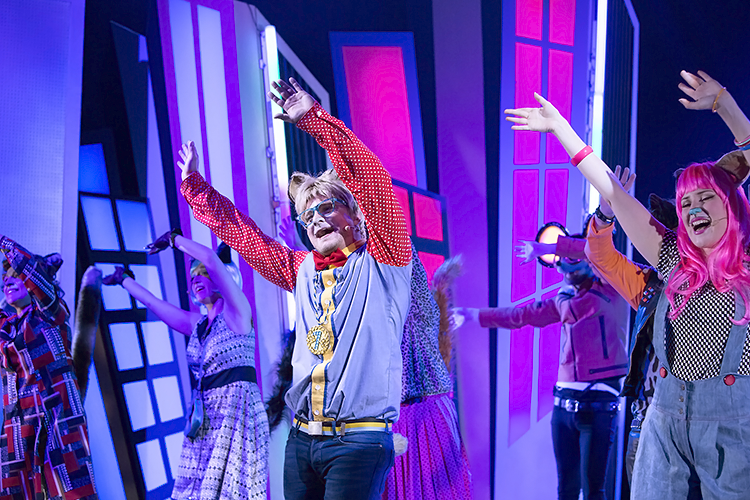 Here, the song is played during the very energetic curtain call. That's fun, but The Hot Honey Rag dance is maybe my favourite thing in the Broadway staging. So it'd be nice to see it in other versions too! Still, these are minor flaws. Watching some other production, I might be more annoyed at these, but here the rest of the show is so good that I can quickly forget some slight disagreements. I decided to see the show again during the intermission already, and bought my next ticket right after the show ended. Kind of like chain smoking, but better for your health. 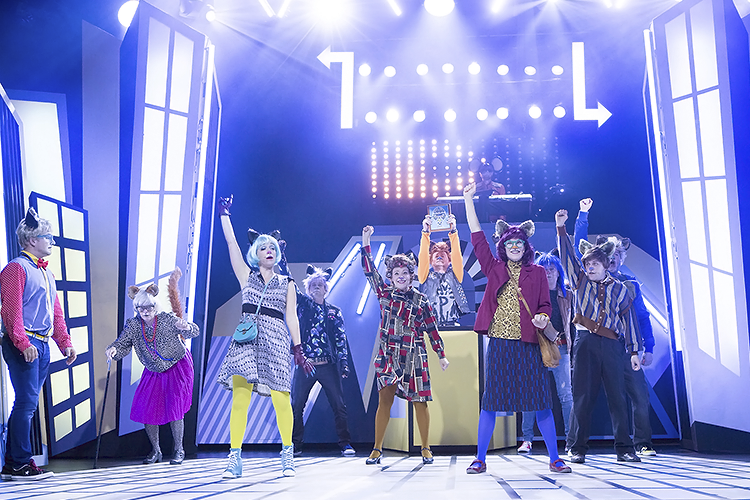 Yesterday, I saw a play about a tail-less cat called Pekka Töpöhäntä. In Sweden, where he's from, he's called Pelle Svanslös. In English, he's known as Peter-No-Tail. He is often teased because of his eponymous lack of tail, but in the end, he always prevails over the bullies and shows us that kindness is the right way to go. No, I'm not having a theatre burnout manifesting itself in a confused way. 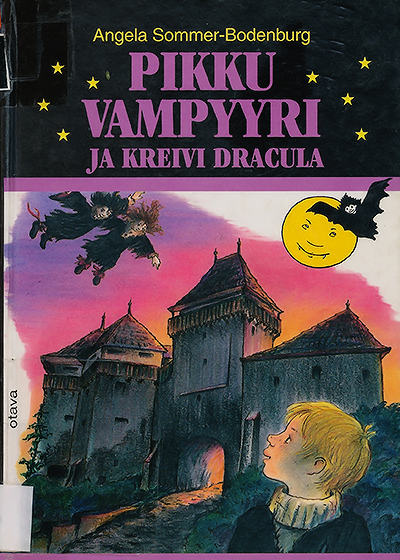 This isn't a nostalgia trip either – I didn't even like Pekka Töpöhäntä as a kid. Instead, I have a favourite actor. The path that eventually lead to me watching a show about the adventures of a tail-less cat begun when I first saw Jekyll & Hyde in Turun kaupunginteatteri. I can't remember the exact moment when I thought that hmm, here's someone who I want to see in everything they'll do from now on. But seeing how I gave Severi Saarinen a thumbs-up for is portrayal of John Utterson in my J&H review, I suspect it was theatrical love at first sight. Jekyll & Hyde is a story about a man who literally rips his soul in half, and I find his lawyer friend the most fascinating character of the show? Yep. Partially, I suppose whoever's responsible for the changes in the script is to thank for: the Turku production had a revised script that gave Utterson plenty more lines than any of the other versions I've seen bootlegs of. Usually, the character's there just to give Jekyll someone to talk to. But here, he actually had a personality of his own, even in the script. But it was of course the performance that made me fall in love with the character. 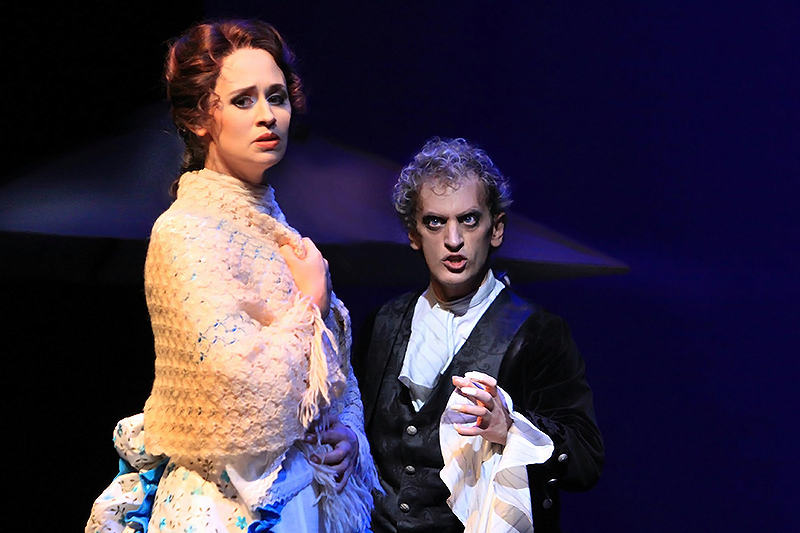 Utterson felt so three-dimensional, so real, and so did his relationship with Jekyll. 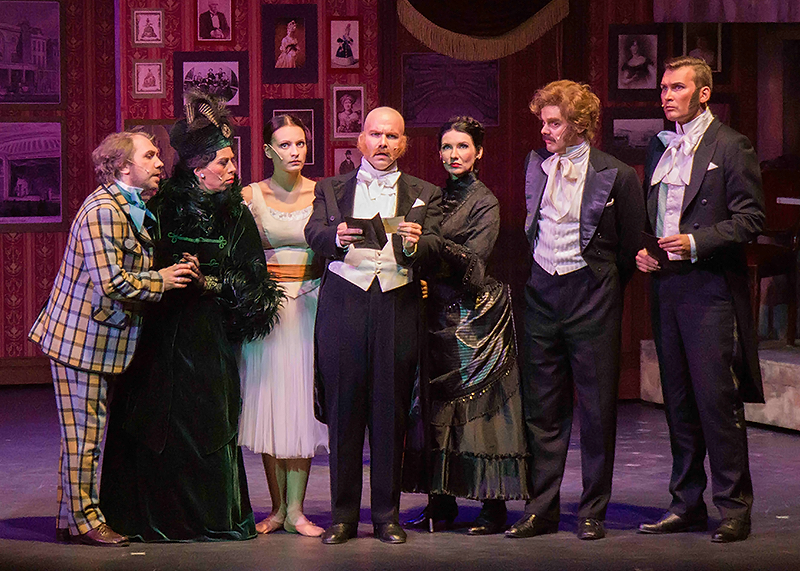 By the end of the show, my heart broke for all the characters, but especially for Utterson. 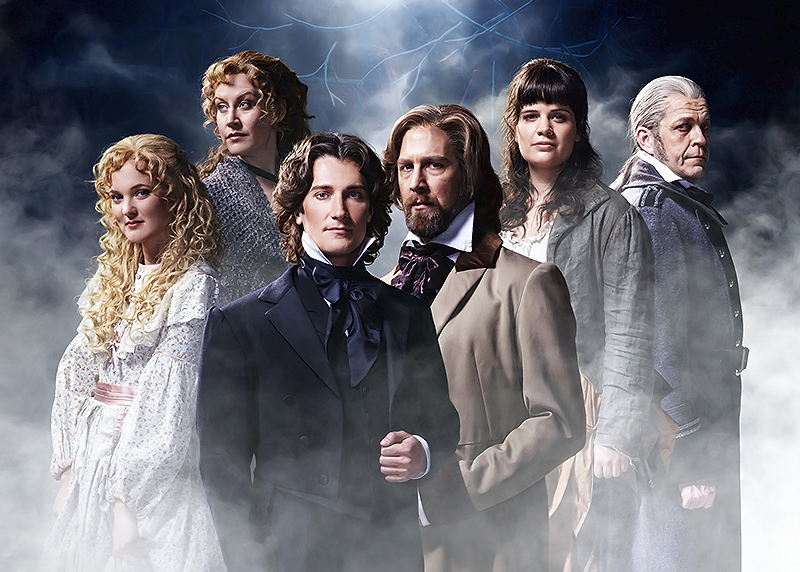 I ended up seeing Jekyll & Hyde seven times, and while I loved the show as a whole and adored all the actors, I paid one particular performance extra attention each time. After Jekyll & Hyde, I've indeed seen Saarinen in everything he's done. It's been a mixed bag of productions, with a couple of shows I definitely would not have seen otherwise. Wanting to see a favourite actor is as good reason as any to broaden my theatrical horizons, I guess! 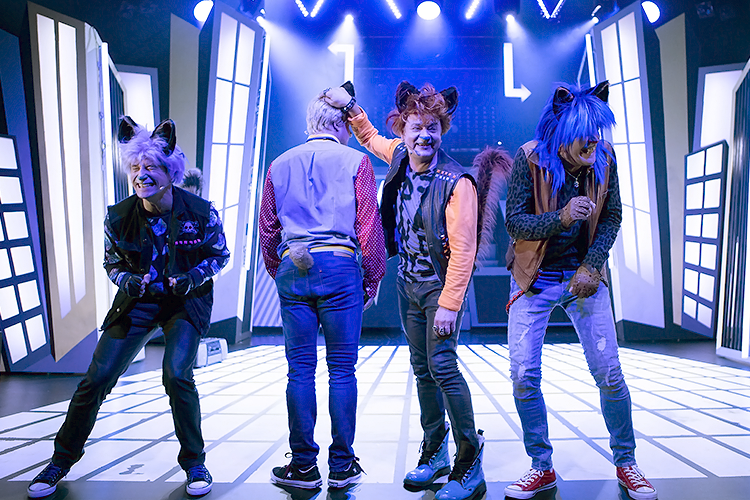 And still, no matter if it's a play for adults or a cat musical for kids, his performances have always been a joy to watch. Glad there's a grand total of two photos available of Saarinen in J&H. Despite all the theatre I see, it is not all that often I encounter someone whose acting lights up the stage for me like this. There are countless actors I really enjoy watching, people whose talents I truely admire – and then a few who touch my soul. It cannot be explained with reason, and it's such a personal opinion that I don't really even mind if others don't quite get my feelings. But I can feel the magic every time I sit in the darkened auditorium watching their performances. And that is why I ended up watching a play about a tail-less cat showing others that bullying is not the right thing to do. Photos by Kari Sunnari and Robert Seger. Suomalaiset lukijat voivat vilkaista täältä, mitä mieltä olin Pekka Töpöhännästä. Please note: Tampereen Työväen Teatteri invited me to see the premiere of this production for free. 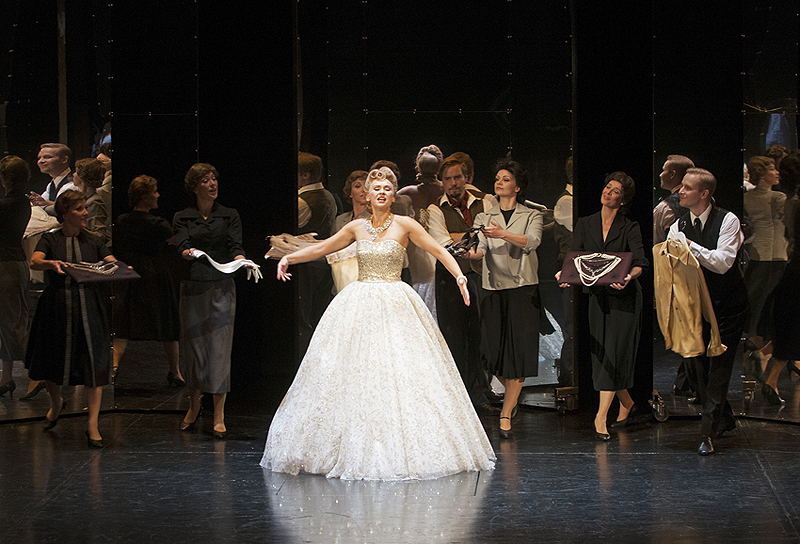 A while ago, I listed Tampereen Työväen Teatteri's Evita as the musical I'm most eagerly looking forward to this fall. a quick trip to Wikipedia and then come back. I'm going to write this one from the perspective of an avid fan. 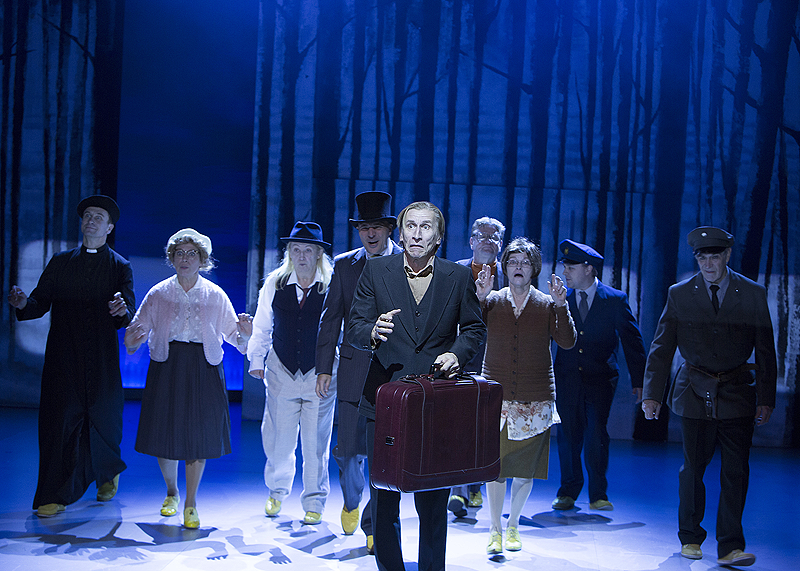 The new Finnish production has two alternating casts in four of the leading roles. I saw the show twice during the premiere week but only caught one combination: Maija Rissanen as Eva, Jari Ahola as Che, Ilkka Koivula as Perón, Lari Halme as Magaldi and Emmi Kaislakari, who has no alternate, as the Mistress. Rissanen makes a lovely Eva. She is very human. Her Eva seems to believe she's working for the better, even if she likes indulging in pretty dresses and jewels while doing so. She has that almost scary ambitious and determined streak, sure, as witnessed during her speech after Don't Cry for Me, Argentina. But by the end, it's upsetting watching her dream of the vice-presidency – wondering if she's convincing herself any more than Perón or the audience. Rissanen sings mostly beautifully but sounds a bit strained on the highest notes. On the other hand, so do many Evas, even on the cast recordings I've listened to. I suppose Andrew Lloyd Webber didn't really stop to consider the limits of the human voice while composing away. I like how the relationship in between Perón and Eva works here. It maybe starts as something of a calculated, sensible match – but later, Perón seems truely devastated by Eva's decline, in a restrained way. Maybe he's thinking about how his wife's death will reflect on his popularity, but I've a hard time believing there's not some sorrow in the mix too. Then there's Che, my favourite character. I didn't have to be disappointed one bit. First of all, Ahola sounds perfect in the part. I could listen to him the whole night, and seeing how this production gives Che some extra lines (for example, half of Lament), I'm pretty much getting my wish. Ahola's acting is to my tastes too, sarcastic and full of life. Bonus points to the production for taking the everyman Che route. I've always felt that adding Che Guevara to the historical mix is a bit too confusing. This production gives Che and Eva a lot of time together. They dance together during Buenos Aires already, and Che is present in the action most of the time. There are lots of nice small moments in between the two. I like, for example, the bit just before And the Money Kept Rolling In: Che mentions that the poor are still sad and miserable, and in an I'm-already-ahead-of-you-my-friend type of a gesture, Eva brings the foundation in. The two have so much interaction that The Waltz for Eva and Che – in many versions, the only time the characters directly interact – almost feels underwhelming. I look forward to seeing the other set of alternates: Laura Alajääski as Eva, Juha-Matti Koskela as Che, Mika Honkanen as Perón and Vesa Kietäväinen as Magaldi. I hear their interpretations are quite different from the cast I saw. Wonder how different the show will feel like when I eventually see them? TTT's Evita looks very good. The sets, by Teppo Järvinen, are rather simple and have a two-dimensional look, but in a good way. Sometimes, few simple elements are all that is needed to fill a big stage. 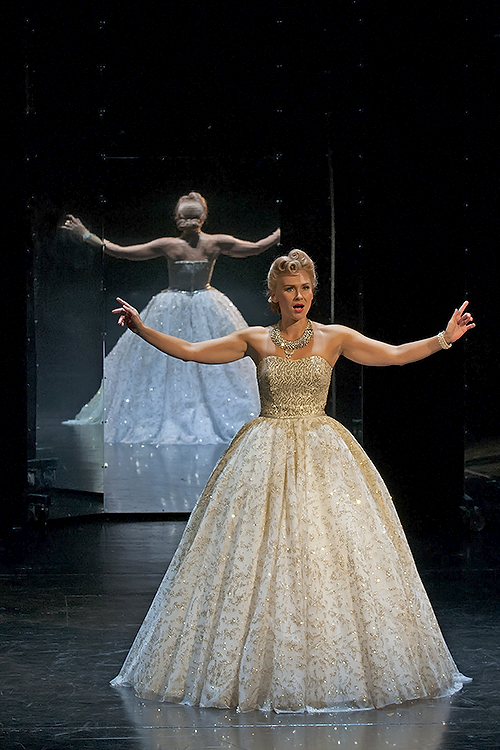 And Marjaana Mutanen's costumes! Eva really shines like a diamond. Her Don't Cry for Me Argentina costume is one of the most beautiful I've seen. The music has some awkward gaps in between the songs and the orchestrations are rather synthetic (apparently they're using backing tracks in addition to the band) and not too imaginative. They do get the job done, though, the music sounds good. Maybe I just would've wished to hear an orchestration that doesn't sound like the cast recordings I've already heard. As a whole, Tiina Puumalainen's direction rolls along smoothly. There however are some bits and pieces that I don't quite understand. For example: why does Che break down crying next to Eva's coffin during the Requiem, though the next moment he's sassing her and practically dancing on her grave? The very beginning and the very end don't click together as neatly as they wish they would, and some moments along the way don't really connect to the whole. But these are mostly just annoying details. When thinking about the big picture, they're easily forgotten. 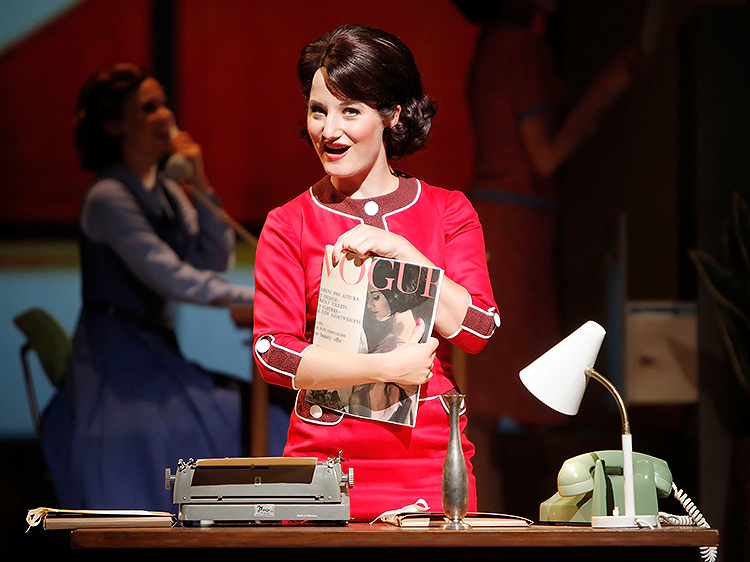 A nice thing about Evita the musical is that it can make people curious about history – and it depicts the life of its titular character with a surprising amount of accuracy. Leaving the theatre, I overheard people wondering if some event from the musical really happened in Eva Peròn's life... Thumbs up to TTT for an informative souvenir programme with a timeline of the real Evita's life! Beforehand, I was a little worried. 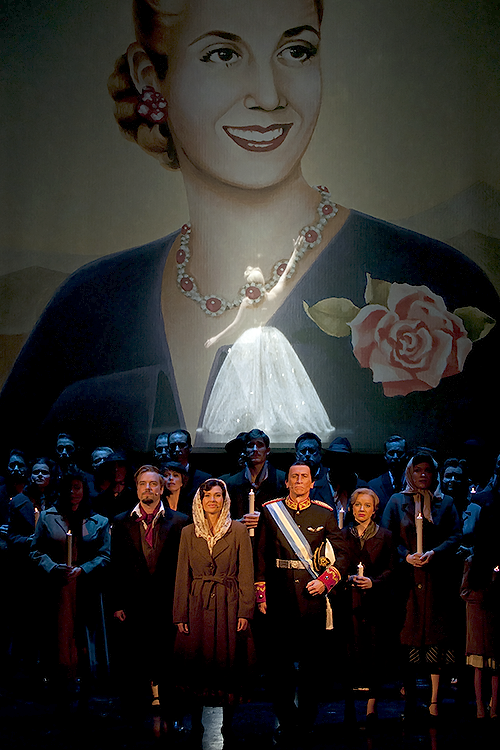 I've seen Evita a couple of times, and usually, the productions have been disappointments. I'm glad to see how well the story moves along in this version. The new Finnish production doesn't offer any mind-blowing new ideas (such as the ending of the recent Danish production – I've since found out that's how the original script ends, but it was surprising nevertheless, seeing how few productions do it), but it tells the story of Eva Perón in a solid, interesting, even touching way. I've booked my next ticket already. Tampereen Työväen Teatteri's Evita is maybe not going to be an A list favourite for me, but it's definitely something I enjoy and something I'll want to return to. TTT:n Evitasta suomeksi mm. One Night in Theatre & Kulttuurikarppaaja.